minimal, historical, industrial, rustic. interesting combo. love all those slightly beaten wooden boxes used as building blocks. 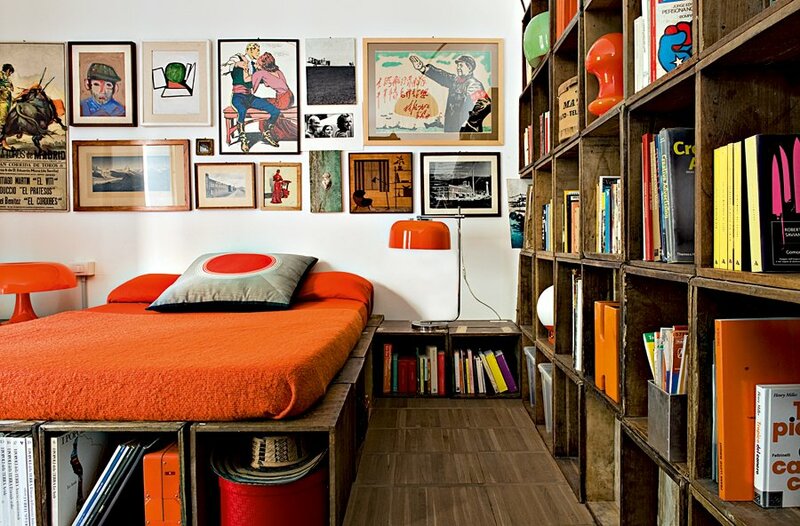 love the art displayed., and all those orange accents throughout the place. Love all the contrasts, too. 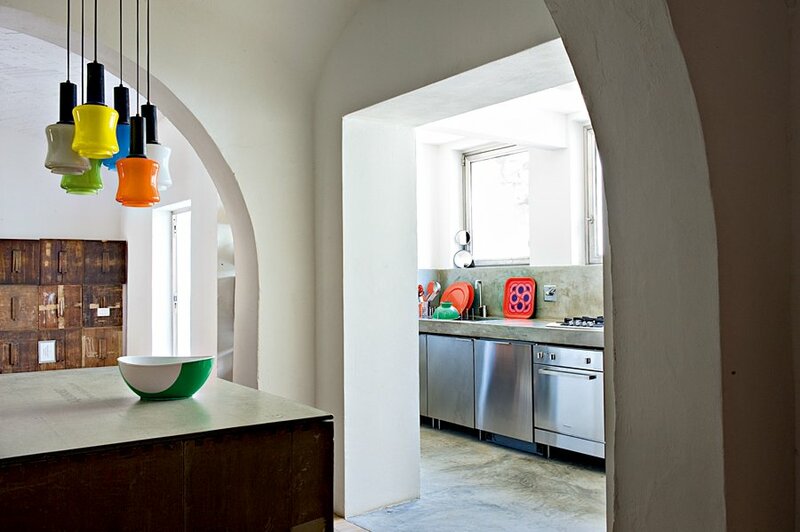 a few glimpses at the home of florentine architect alessandro capellaro. more pics here at marie claire maison. click images for a slighty closer look. nagyon tetszik ez a hely. villanások, és nagyon vicces a képkiállítás a falon. alessandro capellaro, firenzei építész otthona. I love it too!The dining space is my favorite, so clean and simple! I really love this place too! 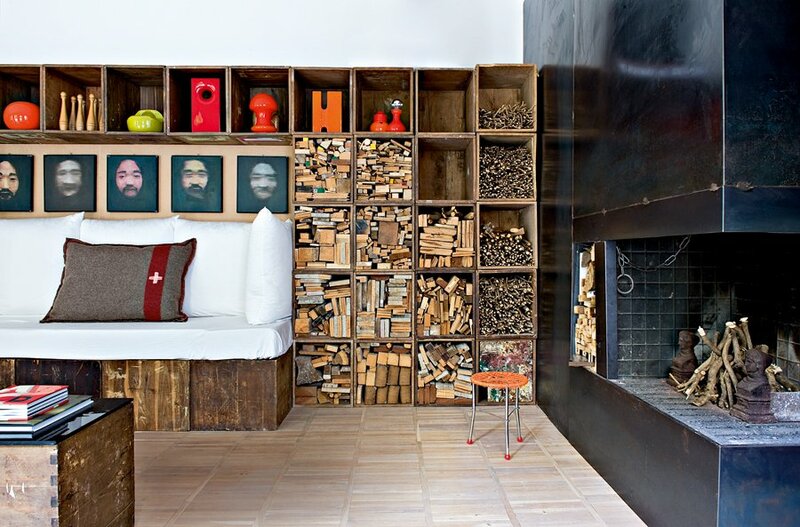 Especially those wooden crates used as a cabinet/barrier between spaces. And the colours, of course! Yeah, Ia, I love the dining room, too... but i especially love it in contrast with the visually slightly 'noisier' spaces... i'd need both. Wow, completely magical space! I could wonder around for hours/days/weeks and still be inspecting new details. Kelly, yes, it has some great details! Agnes, I am over the moon over space no.03—wow to say the very least!